Ice Nine Online built an SEO-optimized website and brand for one of Chicago’s top B2B consulting companies. For over 30 years MVC Consulting has provided expert Program and Project Management services for Chicago-area clients spanning multiple industries. 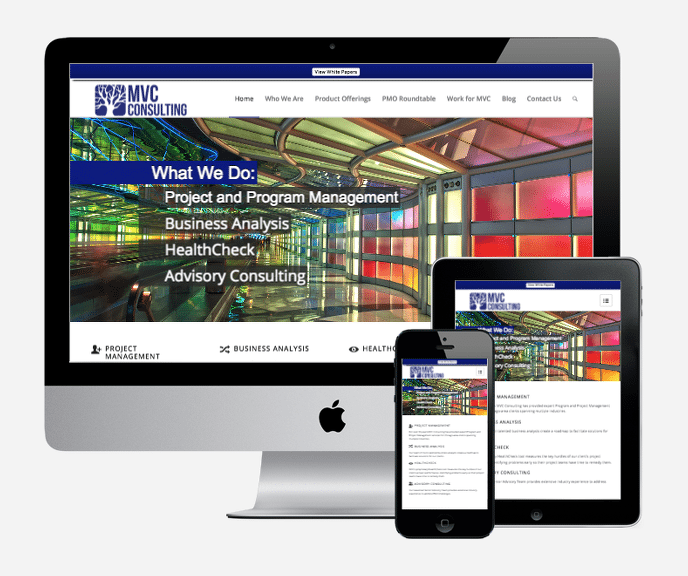 MVC Consulting partnered with Ice Nine Online to create modern, revitalized branding for the company including a new logo, online and offline brand guide and a new website. Ice Nine Online built their new website utilizing the WordPress platform, utilizing parallax design elements, clear calls-to-action and a minimalistic design to cater to MVC’s target markets.